It's truly remarkable - a blessing - that we got the game in yesterday. The rain stopped just in time for the big event, but it was sprinkling in the 7th and pouring in the 9th. The Reno Aces (Diamondbacks) of the Pacific Coast League beat the International League Pawtucket Red Sox 10-3 before a national TV audience on the NBC Sports Network. The Triple-A National Championship trophy presentation was a bit soggy, and I watched fireworks in the rain - a first! Still, I am glad we tackled this three-day event...tremendously proud of our staff...pleased with Bull City hospitality...and really, really glad it's over! Thank you, Aaron Schoonmaker, for posting those kind words on wralSPORTSfan.com. Click here for his story and a slideshow by Will Bratton. American Idol Scotty McCreery takes the ceremonial first pitch very seriously. ...and here's a wonderful story from the News & Observer about champions in the stands. We're here to play a baseball game, but college hoops ruled last night at the Gildan Triple-A National Championship Gala. The venue: Duke's Cameron Indoor Stadium. Duke University's Athletic Department was a most gracious host, and the "host with the most" was Coach K. Indeed, he's an expert on the topic of championships. CLICK HERE for a motivational clip from from Coach K's pre-game talk. I had the pleasure of dining with the television announcers last night, George Grande and Jim Kaat. We introduced them to Durham and the American Tobacco Campus at the Tobacco Road Sports Cafe. I believe we made a good impression, and I was certainly impressed with the dinner conversation. These guys are great story tellers! Kaat pitched in the Majors from 1959-83, won 16 Gold Gloves and has been broadcasting for over two decades. It seems to me that he remembers absolutely everyone he played with or against, every game and everything that has happened during his rich career. Grande was one of the first ESPN anchors and has done play-by-play for the Yankees, Cardinals and Reds. We were in the company of baseball broadcasting royalty! 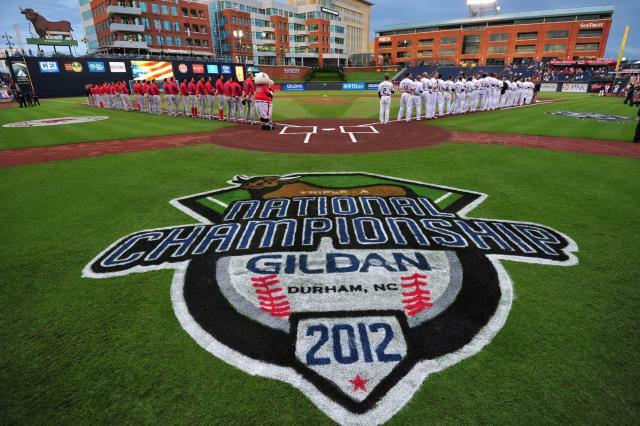 DURHAM, NC – The matchup for the 2012 Gildan Triple-A National Championship Game has been set. After sealing victories in their respective league championship series, the Pawtucket Red Sox and Reno Aces will square off in the one-game, winner-take-all Triple-A final at the Durham Bulls Athletic Park on Tuesday, September 18th. The game will be televised live at 7:00pm on NBC Sports Network, with veteran broadcaster George Grande handling play-by-play duties alongside longtime Major League pitcher Jim Kaat. The 2012 International League Champions are the Pawtucket Red Sox, top affiliate of the Boston Red Sox. Pawtucket took home their first Governor’s Cup since 1984 by sweeping the Charlotte Knights in the IL Finals. After securing the IL Wild Card berth with a 79-65 regular season record, the PawSox knocked off their chief rival in the Scranton/Wilkes-Barre Yankees to advance in the first round. The Reno Aces will represent the Pacific Coast League in Tuesday’s Triple-A National Championship Game. After dispatching Sacramento in the first round of the playoffs, Reno topped the Omaha Storm Chasers in the PCL Finals to claim the league’s crown. Led by manager Brett Butler and 2011’s third overall draft pick RHP Trevor Bauer, the Arizona Diamondbacks affiliate finished the 2012 regular season with an 81-63 record to win the PCL Pacific North Division title. The Aces will serve as the home team during the game, as the Pacific Coast League won this year’s Triple-A All-Star Game in Buffalo, NY. 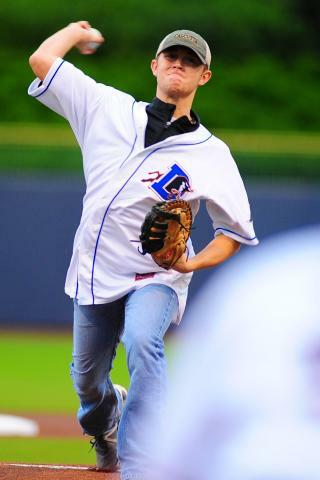 Country music superstar and American Idol Season 10 winner Scotty McCreery will headline the National Championship Game festivities, as the Garner, NC native will throw out the ceremonial first pitch and perform “Take Me Out to the Ballgame” during the 7th Inning Stretch. 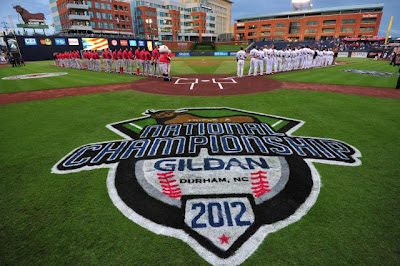 Tickets for the 2012 Gildan Triple-A National Championship Game at the Durham Bulls Athletic Park on September 18th are available online at durhambulls.com, by phone at 919.956.BULL, or in person at the DBAP ticket office. The TV production truck rolled in Monday afternoon. Scott Carter, Bulls' chief publicist, provides an update for WRAL TV5 viewers on the Gildan Triple-A National Championship Game. CLICK HERE. 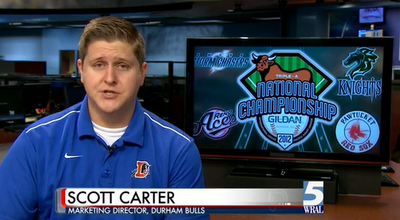 It's been crazy around the DBAP as we prepare for the Gildan Triple-A National Championship Game next Tuesday. The Bulls, the American Tobacco Campus and the City of Durham are putting their best foot forward...or best feet forward. The Batter's Eye was manicured today & the field is beautiful. 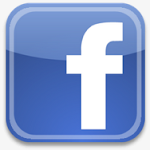 has a major marketing presence. at Blackwell St. & Jackie Robinson Dr.
Fresh mulch and trimming the shrubs. office building in left field is out of the ground. In cooperation with Fox50 TV, the Bulls sponsor an Exploring program (through the Occoneechee Council, Boy Scouts of America) that provides training to about 75 young people in television broadcasting. 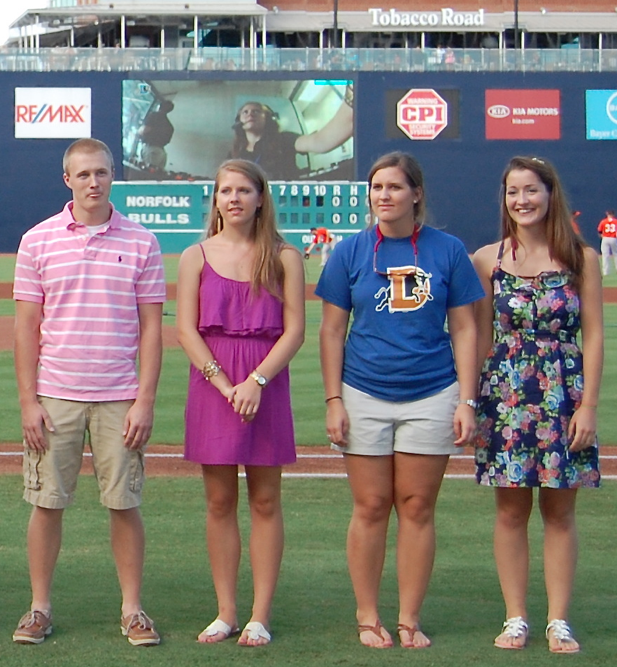 This group of students, most of them in high school, produce the Bulls' in-house video, televised games and webcasts. Amazing program! Amazing kids! 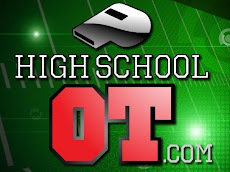 Chris Lehman - This is Chris’s second season with the Post. He graduated from Leesville Road High School in 2012, now attending North Carolina State University, studying Communications with a concentration in Communications Media. Blake Stafford - In her fourth season with the Post, Blake graduated Durham Academy in 2012, studying Communications and Political Science at Furman University. Susannah Roberson - This is Susannah’s first season with the Post. She is a graduate of Riverside High School with a 4.9 GPA and is attending Duke University. Evan Fortman - This is Evan’s sixth season with the Post. He graduated from Jordan High School in 2011 and attends American University in Washington DC studying Business Administration specializing in International Business/Communications. Katherine Jordan - In her second season with the Post, Katherine is a graduate of Panther Creek High School in 2010 and is attending North Carolina State University, studying Communications/PR. Kristen DeMaria - This is Kristen’s second season with the Post. She graduated from Cardinal Gibbons High School with a 5.0 GPA and is attending Elon University where she will be studying Communications/Journalism. The Post 50 scholarship program is funded by the annual Great American Tobacco Duck Race. If that sounds intriguing, click here for more info. 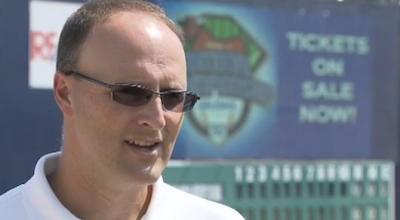 Bulls GM Mike Birling got some face time on TV5 Thursday as Durham prepares to host the Gildan Triple-A National Championship Game September 18th. Click here for the video. The Bull City's reputation gets a boost from Duke hoops in the winter on ESPN and CBS. Now it's our turn with a baseball showdown on the NBC Sports Network, piped into 75 million homes. This game has never been played on the east coast, and we look forward to sharing southern hospitality with Triple-A team owners and executives from the 29 other markets that comprise the International and Pacific Coast Leagues. Every club will be represented from Sacramento to Pawtucket, from Tacoma to New Orleans. Aside from the game, the club representatives are here for league meetings and a 9/17 gala at Duke's Cameron Indoor Stadium. Also, they will tour our region's sports facilities - the Smith Center at UNC, the PNC Arena and the historic Durham Athletic Park. The latter, site of Bull Durham, is a holy shrine in the world of Minor League Baseball! Join us at the DBAP on September 18th. Dress outrageously, paint a sign (or yourself)...and maybe you will end up on national television!?! Got tickets?